I’ve always wanted my life to have meaning. I spent my teenage years trying to make sense of life. What is the meaning of life? 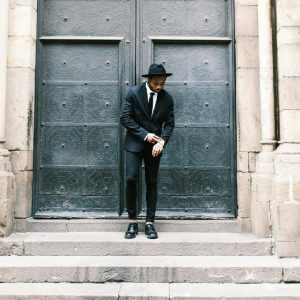 Until I became a Christian at 20 years old, I couldn’t find an answer. I’m still working on my answer today, but I have a much better one than I did 30 years ago. I don’t stumble around in the dark as much. I spend more time figuring out the best way to make use of my time — and actually using it. Are you a randomly assembled group of cells — a culmination of billions of years of evolution? Nothing more than an animal with a brief 100 years to live and then you’ll cease to exist? Are you a species planted by an extraterrestrial life form — the descendants of a people who didn’t care to explain where you come from and why you’re on this planet? Were you created by a distant and indifferent god who delights in seeing you suffer and is too lazy or too selfish to mount a rescue mission? Or, instead, are you the intentional and specific creation of a God who loves and cares about you so much that He did rescue you out of a sick world? Life is really hard because you don’t live in Paradise. If you don’t have an identity or don’t know God’s love, then all that remains is attempting to extract the most pleasure from every moment you have. What happens when life doesn’t go the way you want it to? There’s only more despair now and/or more later when you face death. But life isn’t that bleak. You don’t live in a meaningless vacuum, and this makes all the difference. Hope exists for today in the life you have here because of the reality you have beyond this life. Who you are changes the course of the world because of all God has done to set you free and empower you with His Holy Spirit. God has defeated and disarmed your primary obstacles (death, sin, and the curse), thereby opening a path before you. Be on a journey of discovery. Look beyond your obstacles, be they rejection, failure, or fear. The enemy makes use of these to block your vision of a glorious hope. Seek to know and understand the God who created you. Jesus said to love your neighbor as yourself. To truly love someone, you need to know them warts, wonder, and all. You have a backstage pass to your own life. You and the Holy Spirit get to witness the internal workings of God’s creation: you. The more you fully understand your identity in relation to Jesus, the more you can understand and love others. Too often, people ignore themselves as they seek to love others. But you can’t possibly love others until you’re intimately aware of all that God has placed in you. Then you can experience love for God and yourself and, finally, genuine affection for others. So pursue your Confident Identity; don’t shy away from investing in discovering God’s amazing creation. I’ve struggled to understand my significance over the years. I’ve felt lost and adrift on a great, empty ocean. This book will give you a major boost forward in life. It’s not a shortcut, because you’ll need to do the work for yourself, but it should keep you from wandering aimlessly in shark-infested waters and point you toward a safe haven called home. You can be at home with yourself because Jesus is your Immanuel — God with you. In today’s world even Christians struggle with understanding who they are. 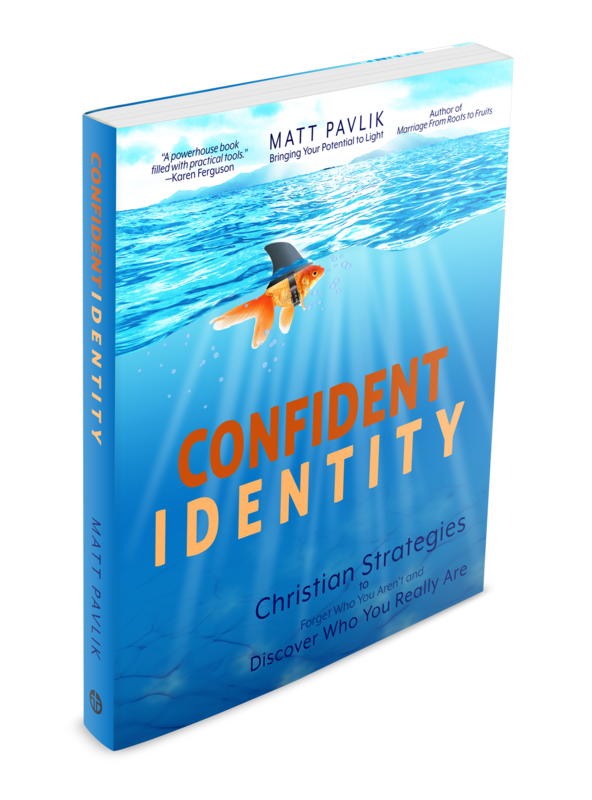 Matt Pavlik wrote Confident Identity: Christian Strategies to Forget Who You Aren’t and Discover Who You Really Are to provide a clear guide for Christians to grasp the full significance of their identities. A Christian’s identity is God’s greatest gift only when it is opened and explored. Your identity is everything. If you understand who you are, then you’ll have purpose and you’ll know how to live your life. A lack of identity is at true epidemic proportions today because people search for meaning to the exclusion of their Christian origins. In Confident Identity, Pavlik enlightens Christian readers to their spiritual identities as well as their unique personalities. God doesn’t make duplicates. He crafts each individual for a specific purpose. 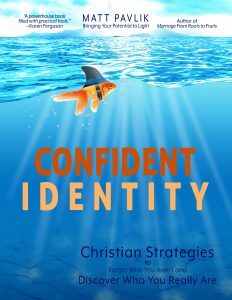 Confident Identity: Christian Strategies to Forget Who You Aren’t and Discover Who You Really Are (paperback, 230 pages, ISBN 978-0986383151) is available on Amazon for $21.95. Matt Pavlik, Licensed Professional Clinical Counselor, published his first book, Marriage From Roots To Fruits, in 2015. 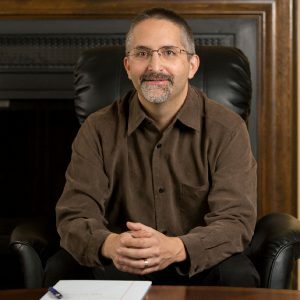 He has counseled individuals and couples at his Christian counseling practice, New Reflections Counseling, since 2003. He completed his Master of Arts in Clinical Pastoral Counseling from Ashland Theological Seminary and his Bachelor of Science in Computer Science from the University of Illinois. Matt and his wife Georgette have been married over 15 years and have four children. Christian Concepts (an imprint of New Reflections Counseling, Inc. located in Dayton, Ohio) publishes books that help Christians reach their potential. For further information, visit ChristianConcepts.com. Visit ChristianConcepts.com for more information.